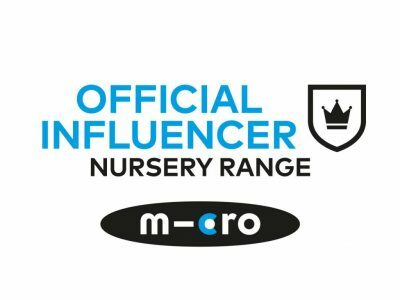 Manufacturer’s Description: “Was William Shakespeare born early enough to enjoy the delights of a cup of tea? And did he wear a top hat? 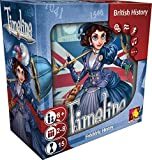 Britain’s first Prime Minister was surely at a later date, but was that before or after the Great Fire of London?” These are the kind of questions that players face in Timeline British History. Gameplay is fast, easy-to-learn, and deceptively entertaining. 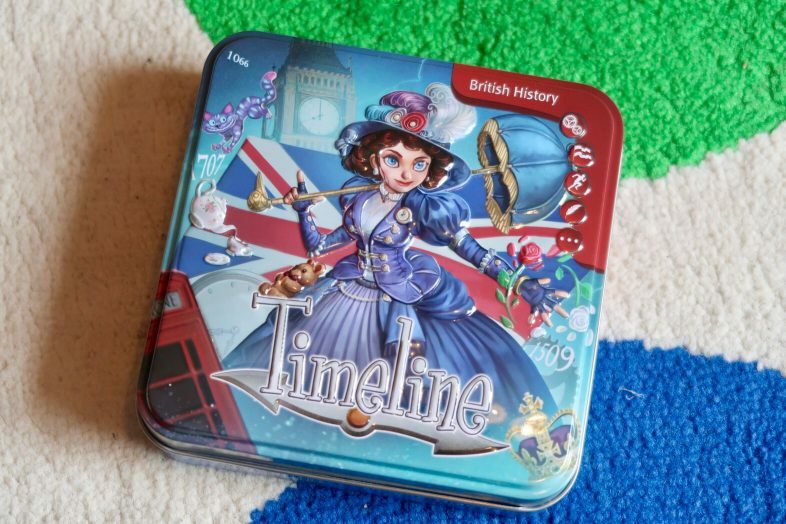 The vintage style tin contains 110 British History themed cards, all of which can be combined with other Timeline sets to make the game more challenging. 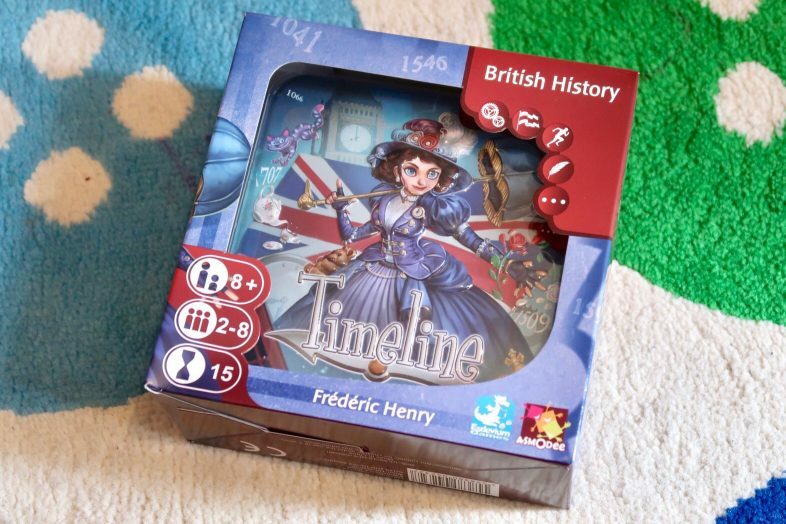 Review: Timeline British History is one of a series of Timeline games, all of which work the same way; you simply have to place cards down in the order they happened… It is deceptively simple! 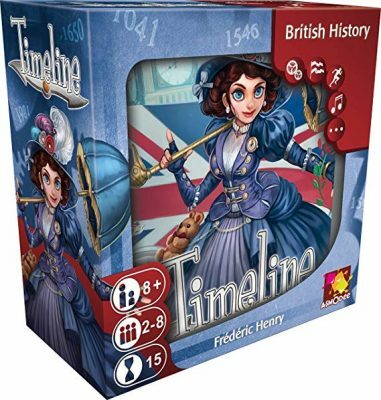 Each Timeline card has an event from history, with an illustration and the name of the event on each side of the card. On one side, the year the event took place is also printed on the card. 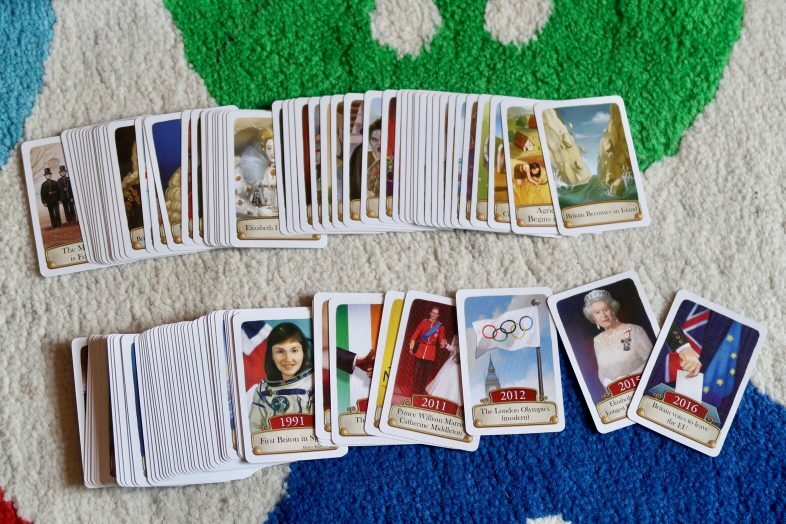 To begin with, each player has a number of cards in their hand, laid out in front of them, with the year faced down so you can’t see when the event took place. 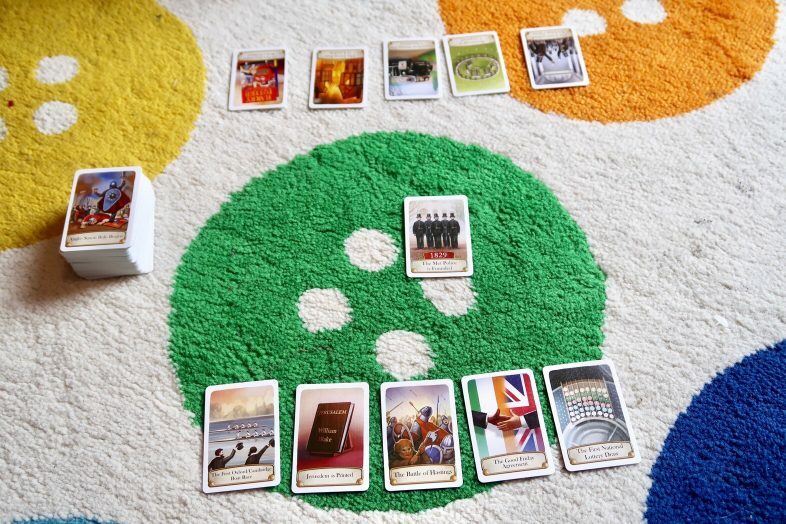 A single card is laid face up on the table and players take it in turns to place a card from their hand into the timeline, where they think the card belongs in comparison to the other events already on the table. Once they have placed the card, they turn the card over to see if they are right about where it belongs. 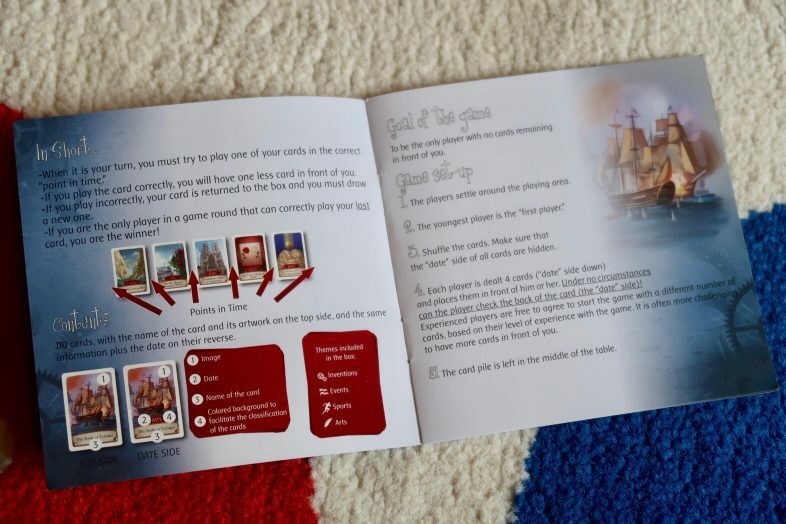 If you get it right you leave your card in place in the timeline, but if you get it wrong, you remove it from play and add another card to you hand to replace it. The aim of the game is to get rid of all the cards in your hand first. It seems simple, but it’s pretty difficult to figure out where some of the events lie! 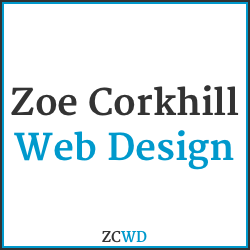 There are some recent ones like the London Olympics, but also some really difficult ones that I have no clue about! 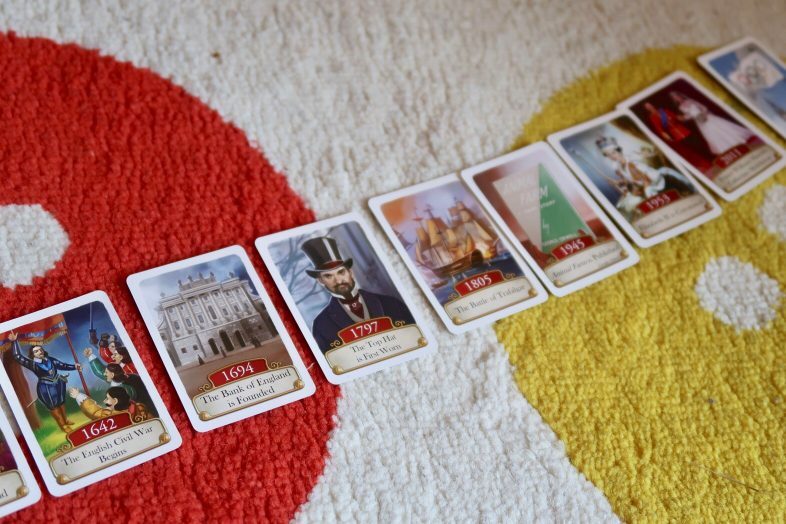 It’s a fun way to learn about history, while you have fun – some of the dates on the cards really surprised me; I had no idea some of the events happened so long ago, or so recently. James and I have played this together as a two player game, as well as with my parents as a four player game. It went down well at James’ work games night too. The only thing about a game like this is eventually you do start to remember the dates, or at least which events are older or more recent than others, so it does become a little less enjoyable over time. 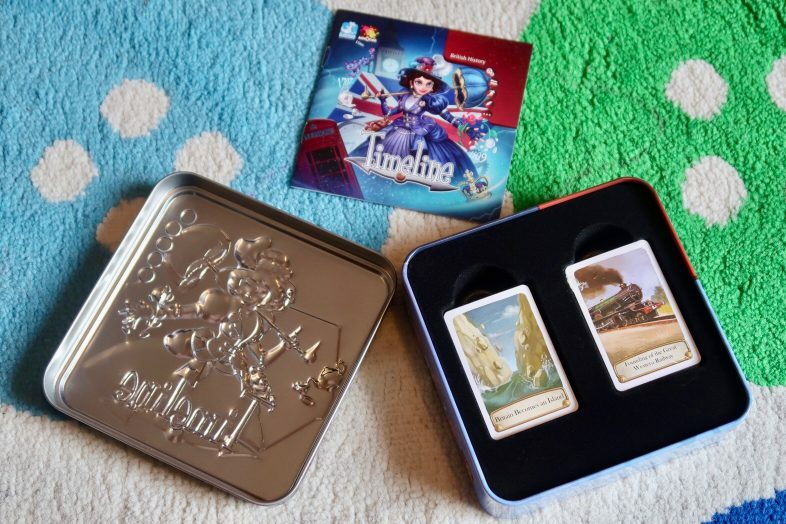 However, with over 100 cards in the tin it is going to take a while to become over familiar with them, and there are several other sets to play with too. Timeline doesn’t take long to play through a round; usually we have played several times in a row before we stop. We give Timeline 4 stars.